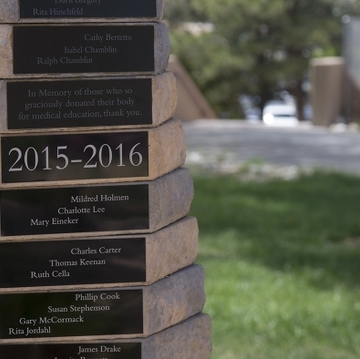 The University of New Mexico School of Medicine is honoring more than 50 anatomical donors and their families for their contributions to education in the health care professions. 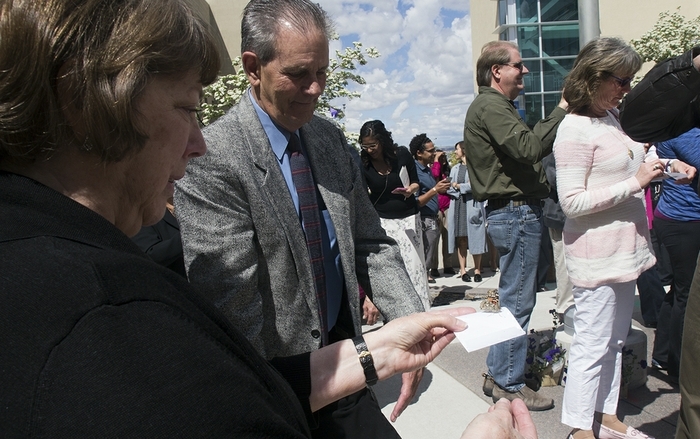 More than 150 family members, UNM students and faculty attended a non-denominational service on April 30 at the UNM Health Sciences Center in Albuquerque. 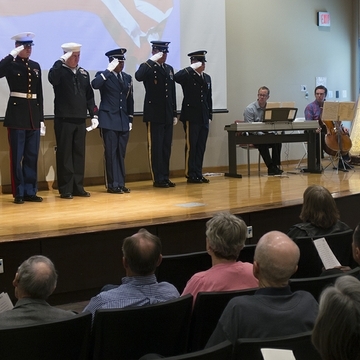 The 17th annual memorial service is organized by medical students, physician assistant students, occupational therapy and physical therapy students. It will include readings by students, music by UNM Health Sciences Center Orchestra, presentation of gifts to families and an outdoor reception. 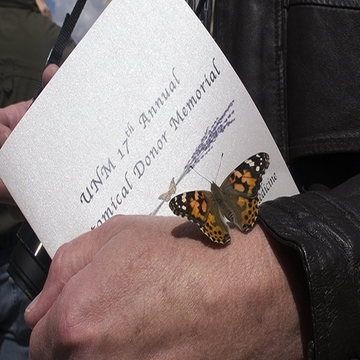 After the service families released butterflies and viewed plaques of their relatives at the Helix Memorial Anatomy Garden on UNM's North Campus. 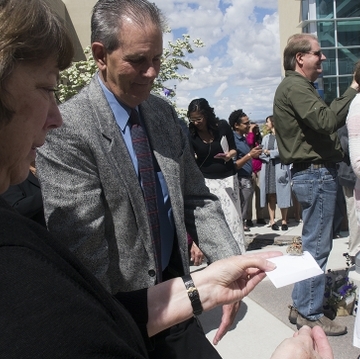 The ceremony “brings a respectful, reflective and reverent finality to his passing,” said Mike Collins, the brother of Chris Collins whose body was donated to UNM School of Medicine. Albuquerque resident Gail Green said her parents decided many years ago to donate their bodies for research. “They felt their bodies would help medical students to learn and help future patients,” said Green who attended her father, Daniel Cella’s, memorial service a decade ago. She participated in Saturday’s service to honor her mother Ruth Cella. “They chose a gift of life for others in their own deaths,” added Green. 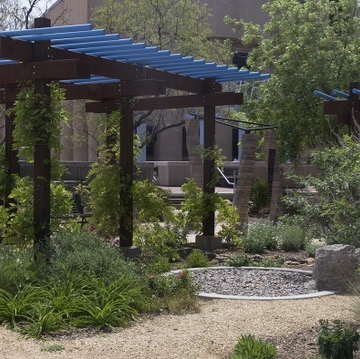 The memorial garden honors New Mexicans who donated their bodies to educate future health care professionals. The names of donors are memorialized on three columns shaped as a helix that represent DNA, the strands of life. It gives students and families an opportunity to pause and reflect on the gift of life and education. Each year UNM School of Medicine accepts 120 donors and uses more than 60 for medical education. To apply visit the program's website.